I have noted recently much fear and hatred expressed by others on the internet. And I fear that it will only grow worse this election year as the Right realizes that Barack will be re-elected. It is in the interest of the 1% to stoke that hatred and fear so that the 99% are divided and wield less power. But what causes the fear? There is fear of the unknown. What will happen to me and my loved ones in these times of economic stress. There is fear of others who look different and may speak a language I do not understand. Communication is the key to understanding which lessens fear. There is fear of sudden death brought upon us by terrorists, people who are different from us. There is fear and loathing, hatred for anyone and anything we do not understand. All these fears are playing into the hands of those professing to care about us, but really caring only about themselves. They measure themselves and others only by how much they have accumulated in worldly goods and political power which allows them to accumulate more and faster, and at the same time gives them a sense of power and self-worth by ordering the lives of others. 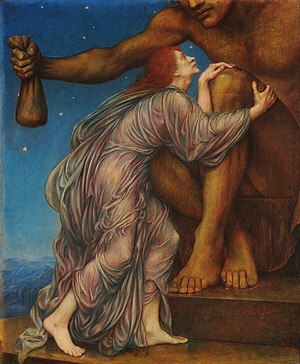 Mammon causes fear and hatred of others. Love and charity are the antidote.